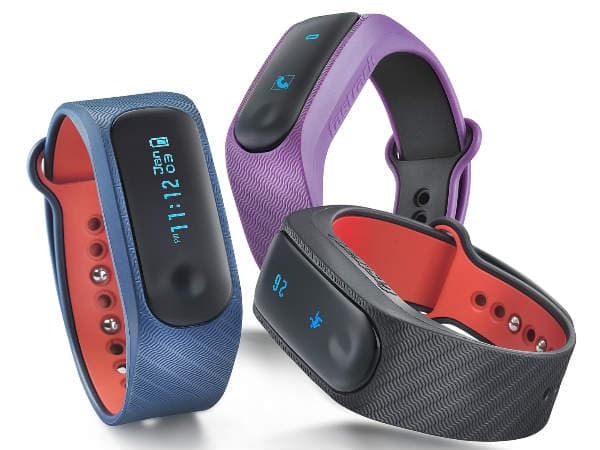 Fastrack has launched 'Fastrack Reflex' - a new wearable health and activity tracker in the Indian markets with a price tag of Rs. 1995. Fastrack, the Titan owned brand, is popular in India for the accessories it makes for the youth. The new tracker seems to be a smaller version of the JUXT PRO, that Titan announced back in August last year. Let's take a quick look at the specs and the features of Reflex and find out how it stands against the Chinese competition. Note that the Reflex is Fastrack's foray into the smart fitness wearables. The gadget has an OLED display that shows useful information like notifications for phone calls, SMS, physical activity related information and the amount of calories burnt. The Reflex stores up to 15 days of your activity and can pass on the information to accompanying iOS / Android app. Reflex keeps track of your motion and will alert you if you've been sitting in one place for long time. Users can keep track of the total steps, calories burnt, total distance traveled since the start of the day etc. The tracker can also keep track of your sleep hours. Other notable features include vibration alerts, water resistance, alarm and low power consumption Bluetooth 4.0. Fastrack will need recharge once every week; but it can be fully charged within just 60 minutes. The company is also promising regular software updates to keep enhancing user experience. Unfortunately, the Fastrack Reflex misses the heart-rate monitor; but for the Rs. 1995 price tag, we won't complain. Users will get a choice of purple, black and blue colours to suit their preferences. Head over to your nearest Fastrack showroom to check one out before you buy it. Fastrack will directly compete with Xiaomi Mi Band 2, which retails for about the same price (Rs. 1999). The Mi Band 2 promises to offer longer lasting battery and can also be used to unlock your Xiaomi phone. Another option available to the users is Intex iRist Pro, which is available for Rs. 4999.